Earn at least 253 points by purchasing this product. 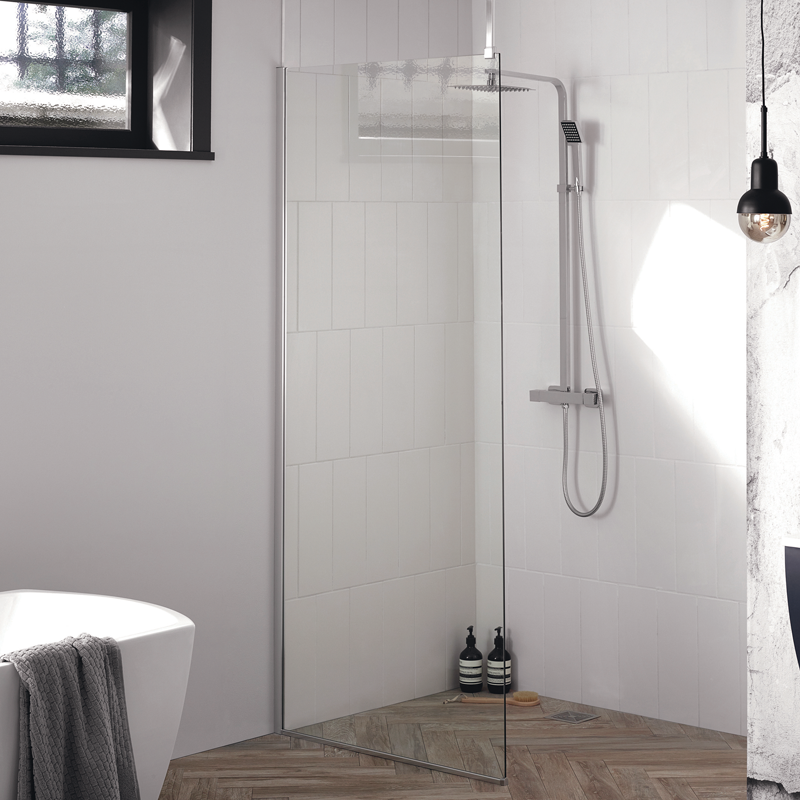 Available in a variety of sizes the 10mm Aquadart Wetroom glass panels can be used in many configurations for a truly tailored showering space. Use with a contemporary slimline tray or in a wetroom installation. 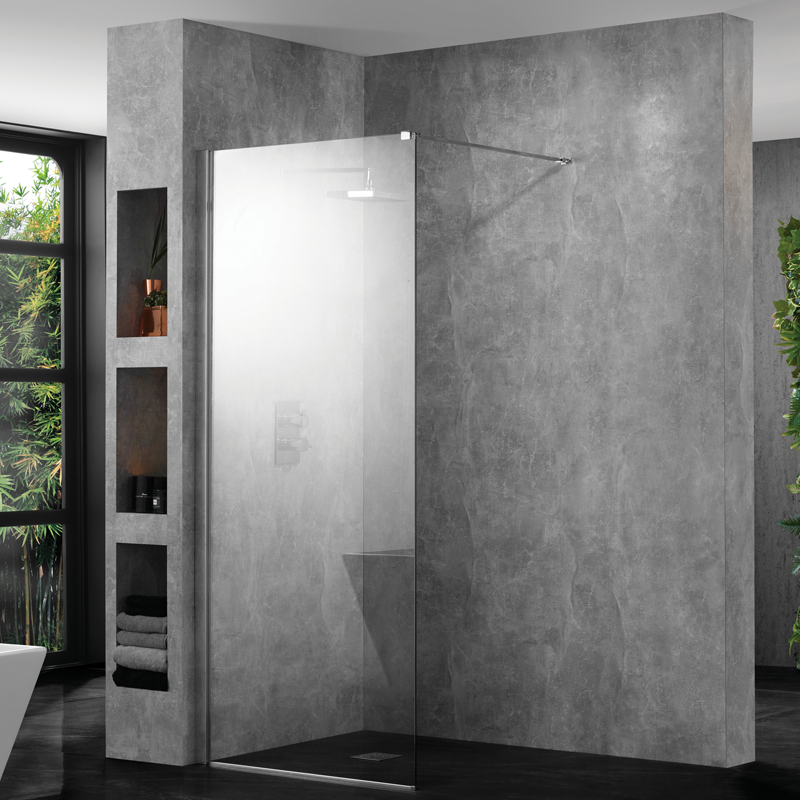 Glass protection is now an important feature of a shower enclosure. A good glass protection system will create a long lasting barrier which will never discolour, peel or crack. Following extensive research we chose to use the Clean & Clear Easy Clean Glass Treatment, a market leading treatment which we trust to protect all our Aquadart enclosures. Clean & Clear glass protection system is both innovative and highly beneficial. It creates a protective barrier which is applied to all Aquadart enclosures and screens as standard. The non-stick surface resists lime scale build-up and water spots, which hinders bacteria growth for a more hygienic environment, whilst reducing the need to clean by half. Move me Left & Right to see Easy Clean working! Are wetroom shower screens waterproof? When a wetroom shower screen is installed you will have a wall and floor profile that the glass installs to. This section is waterproof and will stop water getting out of the wetroom screen. If you want to reduce water splash to the outer bathroom, we would recommend either using a flipper/return panel or a side panel. How do i keep the wetroom screen clean? All our wetroom screens come with something called Clean & Clear, this is applied at the factory and fundamentally stops grime and limescale sticking to the screen. Making it considerably easier to keep clean. Can i have different screen configurations? There are multiple options when installing wetroom screens, You can use our Flipper/Return panels or complete side panels. Using our wetroom support bars you can connect multiple screens together. What is the difference between 8mm & 10mm Glass Screens? On larger wetrooms screens the thicker the screen the better, this will stop any lateral flex within the screen. All our wetroom screens are manufactured from toughened glass. However you can still use 10mm screens on smaller screens and some people prefer this aesthetically. How do i secure the wetroom screen? 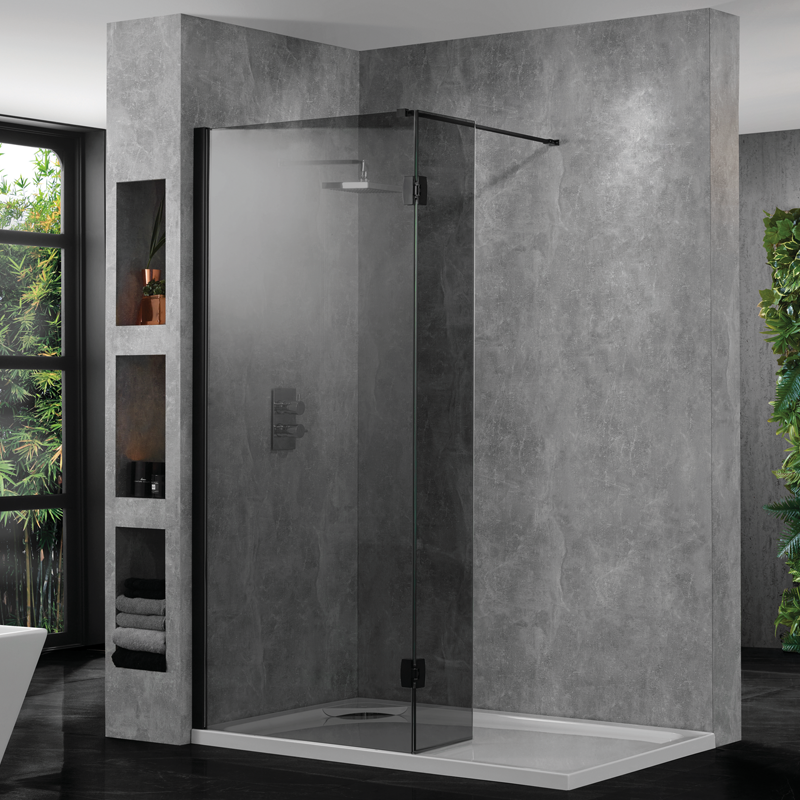 Wetroom screens have braces that stop any movement, Braces can return to the opposite wall or to the ceiling. In some cases when you have multiple screens they can connect together to support each screen. Wetroom Screens are connected to the wall a Wall Profile this also allows for out of true wall as well ensure that your wetroom screen is installed square.